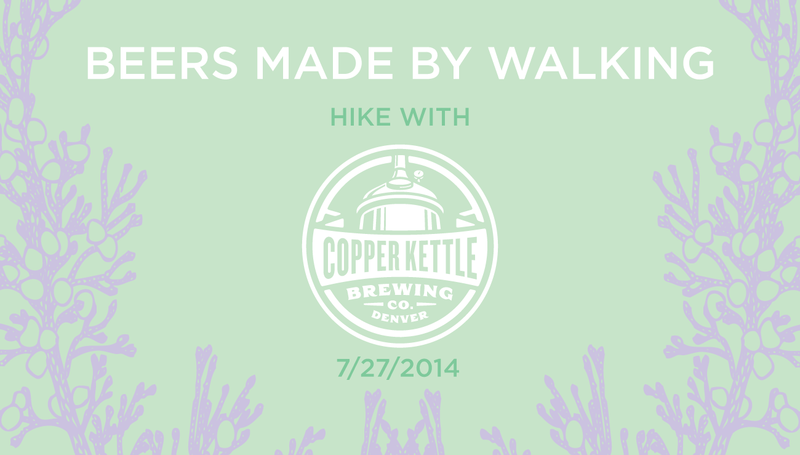 Beers Made By Walking: Hike with Copper Kettle Brewing in Golden, CO! Hike with Copper Kettle Brewing in Golden, CO! Beers Made By Walking and Copper Kettle Brewing Company from Denver are teaming up for Colorado's first public hike of the year! The event will be at Mt. Galbraith Park near Golden, Colorado on July 27th. After the hike, you are invited to join the group at Cannonball Creek Brewing in Golden for a beer. If you are interested in joining this trek through the beautiful Rocky Mountains just outside of Denver, please be sure to join Copper Kettle's Facebook event page for the hike. If you would like to carpool, meet at Copper Kettle at 9:15, or you can meet at the trailhead at 10.